Rick joined the company in 2000 and is responsible for the oversight of financial processes and budgeting of the communities. During his time with the company, he has been part of opening and operating 12 senior living communities. His responsibilities include monthly and annual budgeting performance reviews at each community, investor communication, and the financial due diligence of new community development. Rick has served a two-year term on the board of UALA. He was part of the original ownership group of Wentworth Senior Living Services, during which time they operated 9 communities in Utah. Prior to joining the company he worked in various management positions over nine years with a publicly traded training and performance improvement organization. He was part of the leadership team involved in the strategic decisions of the company. 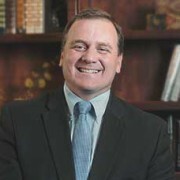 Rick received his Masters of Business Administration from Brigham Young University and his Bachelor of Science degree from the University of Utah in health-related studies.